The singer claims the top spot on the Billboard 200. 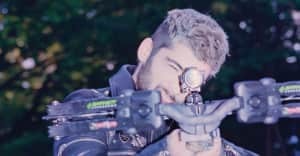 Zayn Malik displayed his commercial power as a soloist this week: Mind Of Mine arrived at the top of Billboard's album chart. Listeners bought 112,000 copies of the record; including streaming statistics, that number increased to 157,000 album equivalent units. According to Billboard, Malik is the first male solo artist from the U.K. to debut at No. 1 with his first full-length. He also joins an elite club containing singers that have scored No. 1 albums with a group and as soloists, like Justin Timberlake, Gwen Stefani, and Beyoncé. K. Michelle grabbed the second spot on the albums chart this week, while Rihanna took No. 3. See the full ranking here.